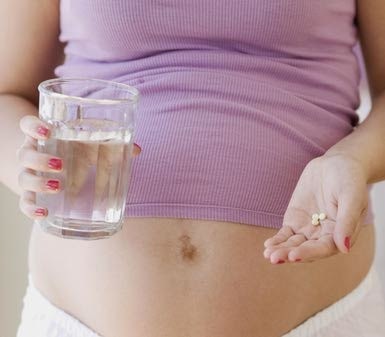 Pregnant women have been warned that taking paracetamol could harm their unborn baby.The popular painkiller is believed to have lifelong effects on baby boys, raising their risk of everything from infertility to cancer.Paracetamol is the most widely-used painkiller in the world. And as the only painkiller deemed safe in pregnancy, it is taken by most mothers-to-be. However several studies have suggested it interferes with the development of the male reproductive system while still in the womb. Edinburgh University researchers urged pregnant women to think twice before taking the drug.They said that if the tablets are taken, they should be used in the lowest possible dose, for the shortest possible time. The Royal College of Midwives said mothers-to-be should seek medical advice before taking paracetamol at all. This is important because it is thought that if this programming goes wrong, it has lifelong effects, putting the child at higher risk of a range of problems from genital birth defects to infertility and testicular cancer. Testosterone, which is made in the testicles, is thought to be key to the whole process, so the researchers carried out an experiment designed to show if exposure to paracetamol in the womb cuts levels of the hormone. ‘Ideally, women should avoid taking medicines when they are pregnant, particularly during the first three months.‘Minor conditions such as colds or minor aches and pains often do not need treating with medicines.